But the job is fraught with difficulties. Sophie-Anne's power base has been severely weakened by Hurricane Katrina, and she's about to be put on trial for murder. 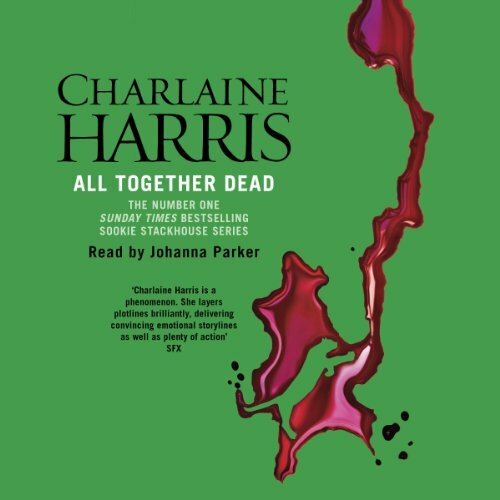 Sookie knows the queen is innocent, but she's hardly prepared for other shocking killings: it looks like there are some vamps who would like to finish what nature started. With secret alliances and backroom deals the order of the night - Sookie must decide which side she'll stand with, and quickly, for her choice may mean the difference between survival and all-out catastrophe. Totally Love the whole series and so hope Charlaine Harris writes more more more. Always very exciting. Tolles Hörbuch für Fans von True Blood, leider kein "British-English" aber trotzdem gut verständlich. Prima Möglichkeit sein Hörverständnis zu trainieren, simultanes Lesen hilft am Anfang. Gerne mehr!